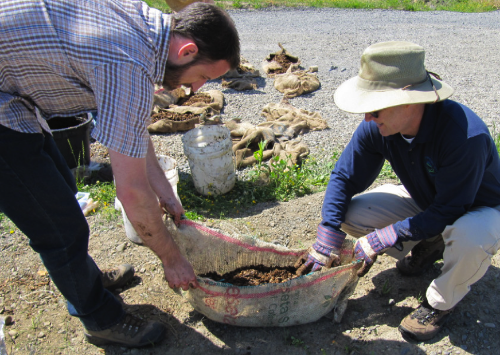 Tomolla helped a group of volunteers install an innovative wastewater treatment application at a former landfill site in East Portland. Now the Dharma Rain Zen Center, the site was the recipient of an EPA grant to improve soil and water quality. The wastewater treatment consisted of repurposed burlap bags filled with mushroom mycelium mixed with woods chips – the mycelium act as filtration for contaminated water. The application was pioneered by noted Mushroom expert Paul Stamets, and the patent has recently been made available for public use. Tomolla attended the 23rd annual Friends of San Francisco Human Rights Commission (SFHRC) benefit Giants Game and Tailgate Picnic. Participation in the event helped to support the SFHRC’s Summer Internship Program and also allowed for a great meeting of just under 100 other program supporters. The San Francisco weather cooperated during the day and evening, making the Tailgate Picnic and subsequent game a big success. Tomolla proudly worked with the organizers to offer direct support for the effort. Tomolla attended the 23rd annual Friends of San Francisco Human Rights Commission (SFHRC) benefit Giants Game and Tailgate Picnic.